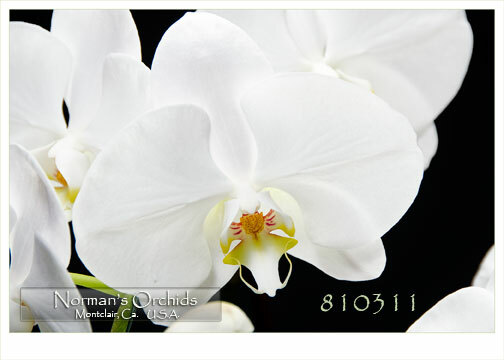 Nothing says it quite like an abundance of beautifully presented pristine white Phalaenopsis ! 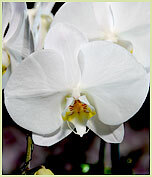 No matter what the season, they will bring peace and serenity to every recipient. 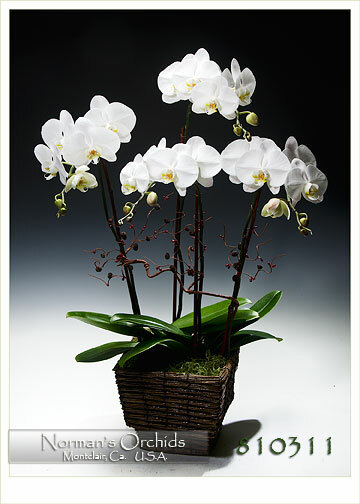 Our designers will personally select our most impressive white Phalaenopsis, bearing four gently cascading flower spikes, and artistically arrange them for the ultimate of presentations in our bamboo cachepot. With the added designer touch of faux vines weaving gracefully among the flower spikes and finished with a rich bed of jade Spanish moss, this 36” high combo will bring a breath of summer-to-come to all who receive it.